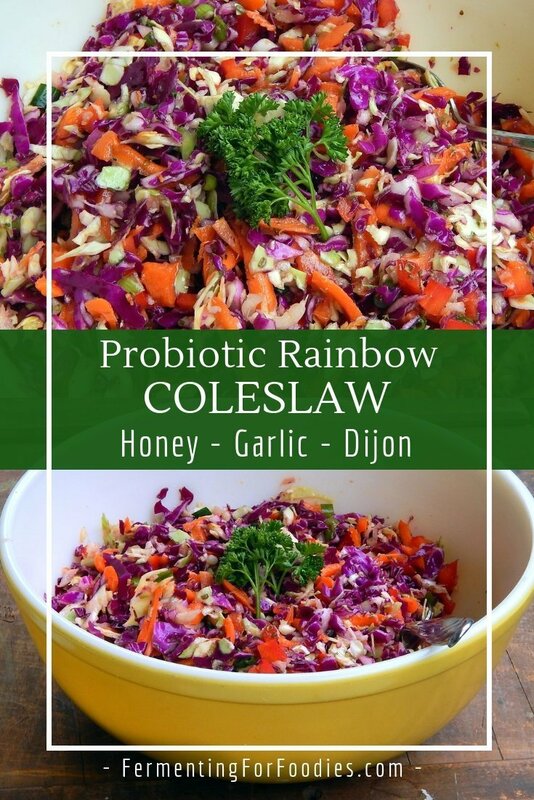 Salads are a great way to get a dose of probiotics, and this probiotic coleslaw recipe is no exception. It’s made with garlic fermented honey and cider vinegar for a deliciously sweet and savoury side dish. Simple and packed with flavour, this coleslaw is a great alternative to the typical mayonnaise salad. 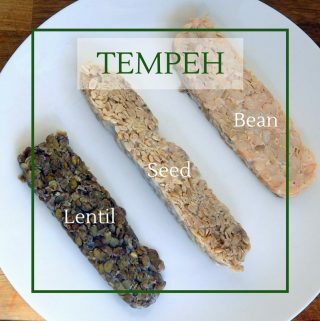 It is perfect for barbecues, picnics, or potlucks, because the flavour improves with time. Also, it’s fine being left out at room temperature for a few hours. Finely dice or grate the cabbage, pepper, carrots and spring onions. Mix up all the dressing ingredients and toss over the vegetables. Serve immediately for a crisp salad. For a softer marinated salad, let it sit out at room temperature for 1-2 hours prior to serving. 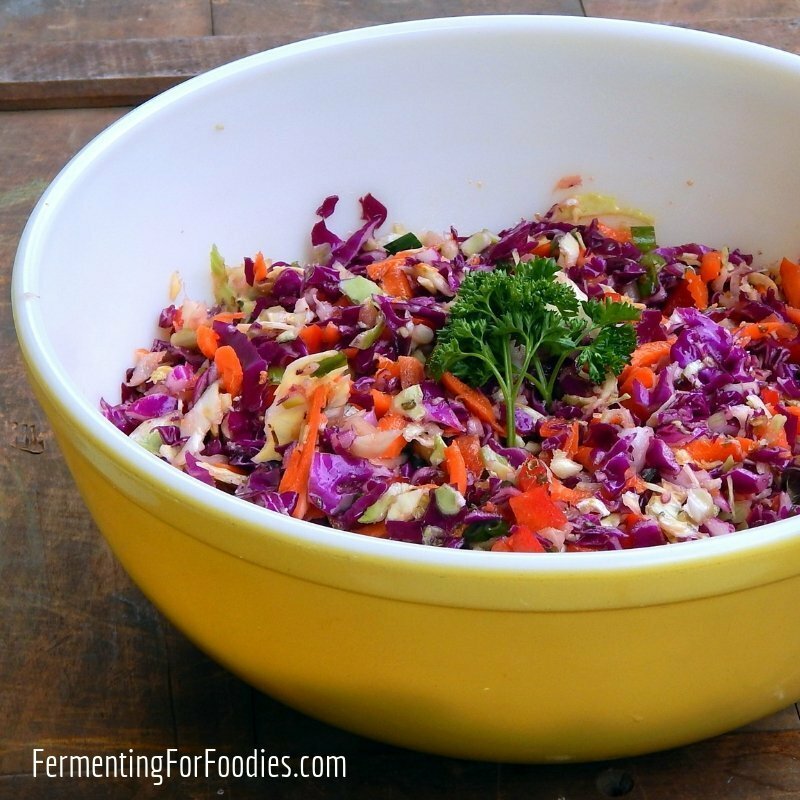 To make a probiotic coleslaw, you need to include some fermented ingredients. I recommend garlic fermented honey, as the garlic infusion provides an extra flavour dimension. If you haven’t tried fermenting before, then try making garlic fermented honey. It is SO simple and absolutely delicious. 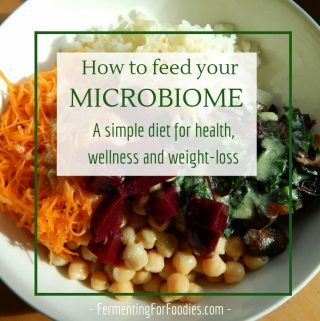 Using naturally fermented cider vinegar will also give a probiotic boost. Either make your own, or buy vinegar with a mother. You can also use homemade fermented Dijon mustard. The turmeric isn’t necessary. However, it does provide a beautiful yellow colour and is packed with antioxidants and anti-inflammatory curcumin. Probiotic coleslaw is an excellent side dish for all sorts of meals. 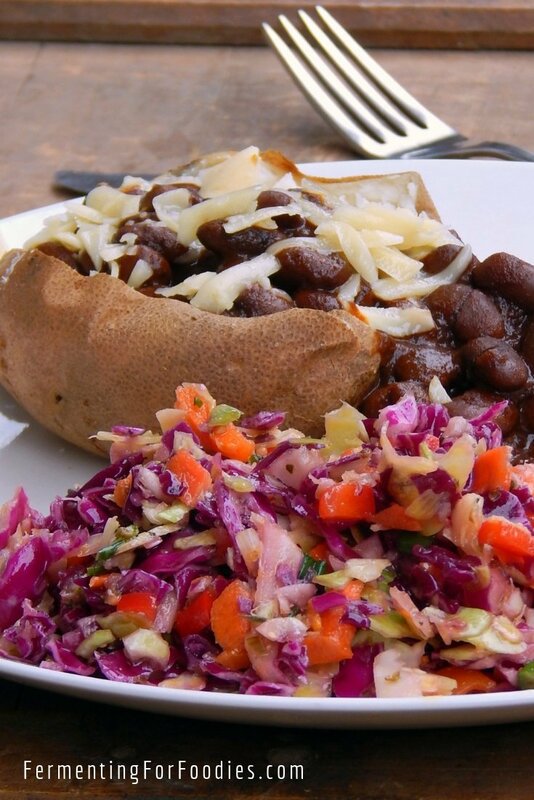 Our favourite way to eat it is with baked potatoes topped with baked beans and cheddar cheese. Yum! I’m big on creamy coleslaw, Irish style, but this recipe is great when we want something lighter or have no mayo on hand. It is my favourite coleslaw!